This graded issue of War Heroes #1 featuring a Marc Silvestri Variant Sketch Cover just came back from CGC graded in Near Mint/Mint 9.8 condition. With the Millarworld being recently acquired by Netflix, there is a chance that War Heroes will be turned into a TV series which could increase the awareness and demand for this comic. Grab this one today while you can! 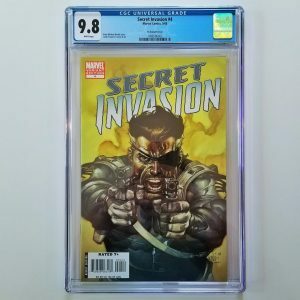 Available for sale is the Clayton Crain Variant of Weapon H #1 graded by CGC in 9.8 NM/M condition. 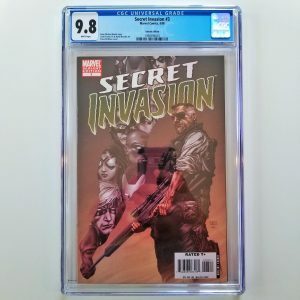 Featuring amazing cover art that pays homage to Incredible Hulk #181, this hot comic is the perfect addition to your graded comic book collection. Stock is limited, so grab this one today while you can! 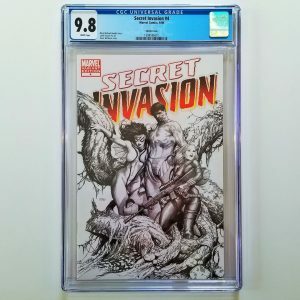 Available for sale is the Clayton Crain Virgin Variant of Weapon H #1 graded by CGC in 9.8 NM/M condition. 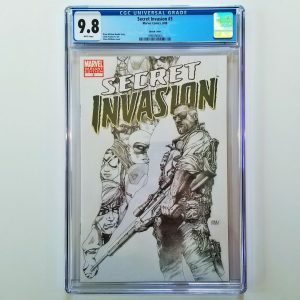 Featuring amazing cover art that pays homage to Incredible Hulk #181, this hot comic is the perfect addition to your graded comic book collection. Stock is limited, so grab this one today while you can! Available for sale is this Clayton Crain Virgin Variant of Web of Venom: Venom Unleashed #1 graded in CGC 9.8 NM/M condition. This Scorpion Comics exclusive had a limited print run of only 200 copies. Grab this limited edition, high grade comic today while you can. Available for sale is Wolverine (Vol. 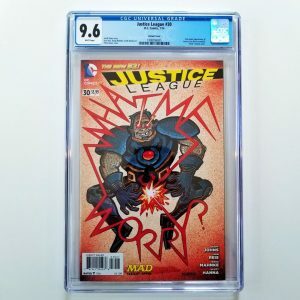 3) #66 that just came back from CGC graded in 9.8 NM/M condition. Featuring the beginning of the “Old Man Logan” storyline, this comic has become one of the most sought after modern key issues. Don’t miss out on the chance to add this HOT comic to your collection today!